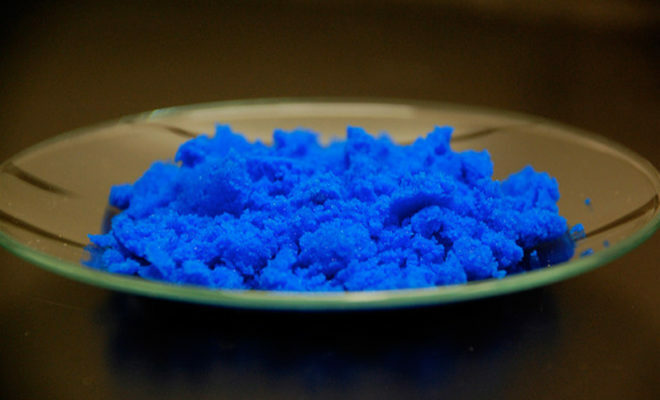 In 2009, chemists lead by Mas Subramanian at Oregon State University accidentally discovered how to create the most impeccable blue pigment. This completely non-toxic compound recently became available for use commercially where it will be found in paints and plastics and possibly even cool roofing materials. The OSU team’s original focus was experimenting with resources for use in electronics, but after heating one of the samples, graduate student Andrew Smith made to 2,000 degrees, they noticed an uncanny beauty. The new blue’s non-toxicity is particularly groundbreaking. As Subramanian said, “Ever since the early Egyptians developed some of the first blue pigments, the pigment industry has been struggling to address problems with safety, toxicity and durability.” Essentially, it has taken humans thousands of years to build a flawless blue pigment! Now, Subramanian will continue on experimenting while intentionally attempting to discover new pigments.